The first ever Scottish Cup tie at Broadwood Stadium ended in an emphatic if slightly flattering victory for the holders. There were surprises in the line-up for the near three thousand supporters who travelled through to Cumbernauld for United's first ever visit to Broadwood. There was no starting place for Saturday's hero Jerren Nixon because of a knock he took. David Craig, starting a match for the first time was his surprise replacement. Christian Dailly, who was a star in defence at Ibrox remained in that role, whilst Dragutin Ristic returned to first team action for the first time since October 22nd. 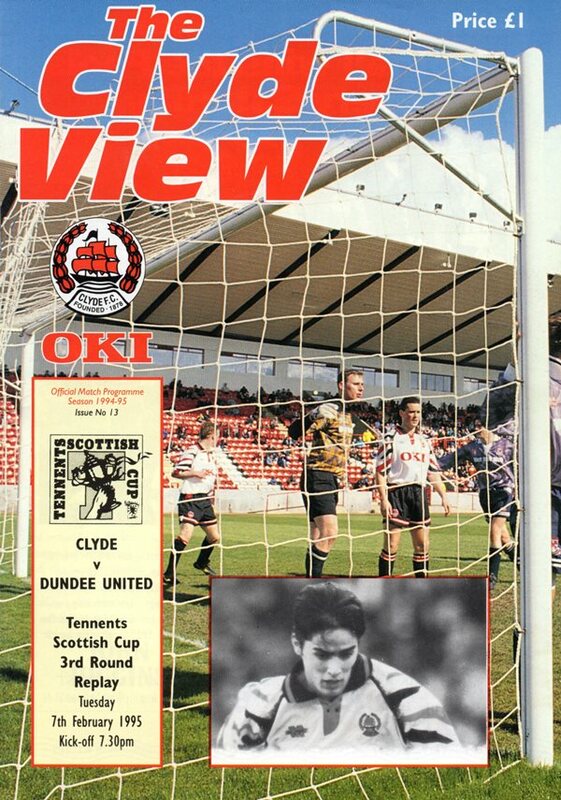 United stamped their authority on this tie from a very early stage and shots from Craig Brewster and Gordan Petric whistled past before Dragutin Ristic headed a Billy McKinlay shot narrowly past. United managed what they had failed to do in ninety at Tannadice and score. Dragutin Ristic and Craig Brewster combined on the left which let in Jim Mclnally and he side-stepped a defender before crossing for Billy McKinlay to nod the ball into the empty net. United's lead was to be short-lived though. Three minutes later Maurice Malpas, trying to clear the ball sent Knox tumbling in the box and lan Angus stepped up to send Kelham the wrong way from the penalty spot. Clyde were perked up by that and forced a series of corners before United re-established some authority on proceedings and eventually forged ahead again. Gordan Petric headed a Billy McKinlay corner against the bar and David Craig was on the spot to head in the rebound for his first goal for the club. Right on the stroke of half-time United virtually ensured their passage to the next round. A short free-kick went to Billy McKinlay who crossed and David Craig rose to head the ball downwards and David Hannah was there to claim the goal though whether he got a touch or not is open to debate. All doubts about the outcome were removed four minutes into the second period. Dave Bowman played a one-two with Dragutin Ristic who cleverly flicked the ball into the path of Dave Bowman and he lashed a first time shot into the top right-hand corner for his first goal of the season. 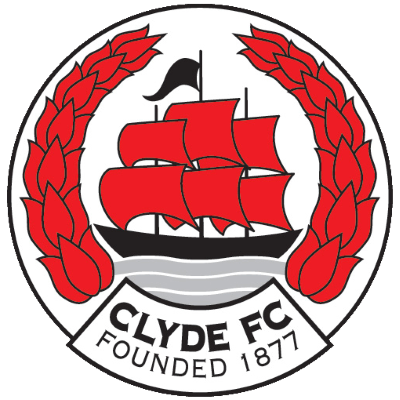 With the tie as good as over, Clyde created two or three good openings, but in each case Kelham O'Hanlon was United's saviour. However, the last word was to fall to substitute Jerren Nixon who completed the scoring with an outstanding individual goal. He collected the ball 30 yards out and dated into the box, leaving defenders in his wake and slipping past a third challenge before deftly stroking the ball past Fridge from 12 yards. It was a goal fit to win the cup, but Huntly and others come before that can become a reality. Golac stated, "That was a nice professional team performance."